Vienna Acoustics' Mozart loudspeaker was introduced at the 1996 CES, and it has stayed in the line ever sincealthough not, of course, without some changes/modifications. (My review of the original Mozart was in the January 1997 issue). The current Mozart Grand SE ($3500/pair, a not-unreasonable increase from the $2500 of the original), introduced at this year's CES, has a spider-cone low-frequency driver of similar design to Vienna Acoustics' more expensive models, a modified tweeter, changes in cabinet construction, and crossover changes. 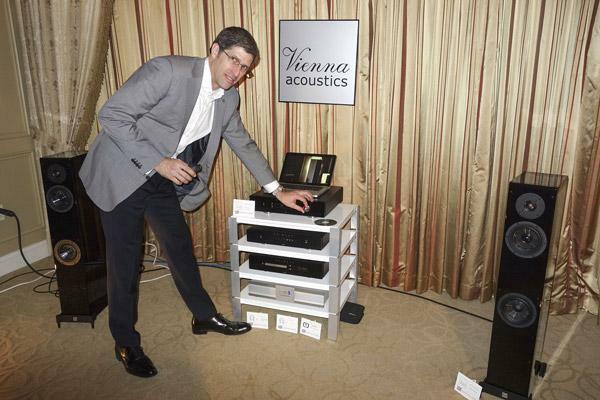 As demoed by Kevin Wolff of US distributor VANA (see photo), the Mozart Grand SE had the same sort of beguiling sound that I remember from lo these many years ago. When listening to audio systems in hotel rooms at shows, all bets are off. But once in a while you get a wonderful sound in the confines of the spot where the bed would normally sit. Such was the case with the dCS room in the Venetian. The company is celebrating their 25th anniversary and Sony offered an assist in the form of a couple dozen DSD tracks straight from the vaults to hard drive. The Debussy DAC can now process DSD 64 via USB (free software upgrade available from the dealer next week), and for my demo I picked Santana's "Black Magic Woman", settling into audio ecstasy. 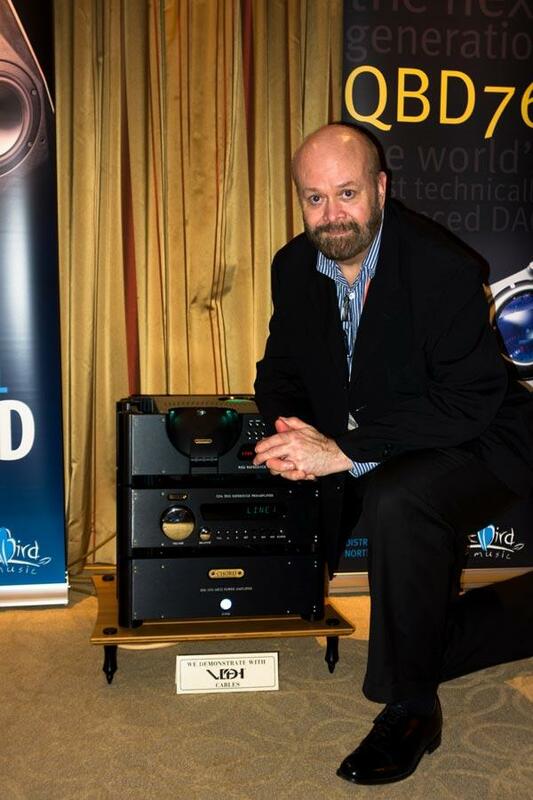 dCS also had their complete Vivaldi stack set up at the Mirage hotel, with a presentation hosted by Wilson's Peter McGrath. Once again the sound was extraordinary as McGrath played some 24/88 files of Mahler's Fifth that he had recorded himself with Grado microphones. I only wish every one of you could have been there. In the small DAC department is the iFi iDAC for $299 and for those that would like a better power supply, add the optional iUSB Power Plant for $199. 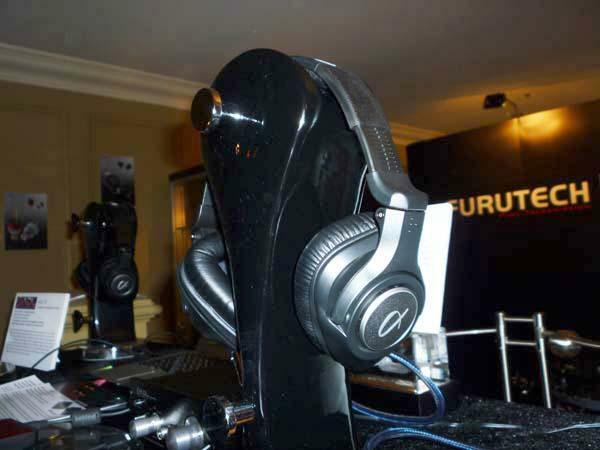 Though this is the first CES for the iDAC, Michael Lavorgna has already reviewed it quite favorably over at AudioStream.com. 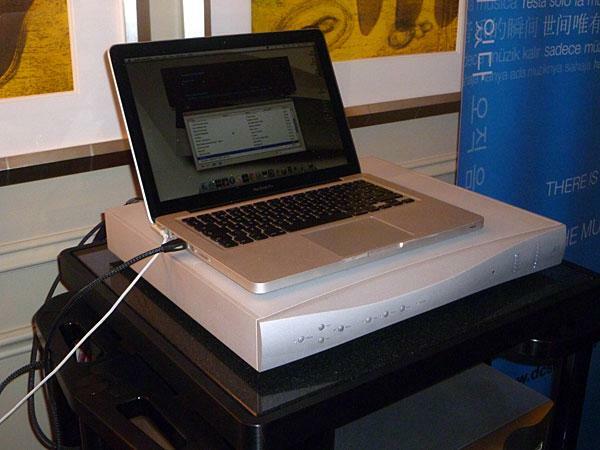 The iDAC sports a 24/192 USB asynch input with headphone amp, analog volume control and ESS Sabre DAC. Adding the Power Plant means your computer USB is no longer doing the heavy lifting and all of the iDAC components get a "super-regulated" filtered power supply. The VEGA is another DAC employing a femto clock for extremely low jitter and retails for $3,500 (a low price point for the femto feature) . 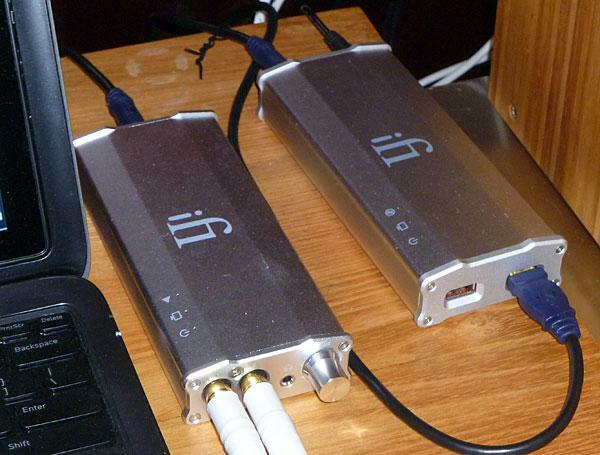 It handles PCM streams up to 32/384 as well as DSD, DXD and 2xDSD. The VEGA can also function as a digital preamp and includes a remote that can control the output level. 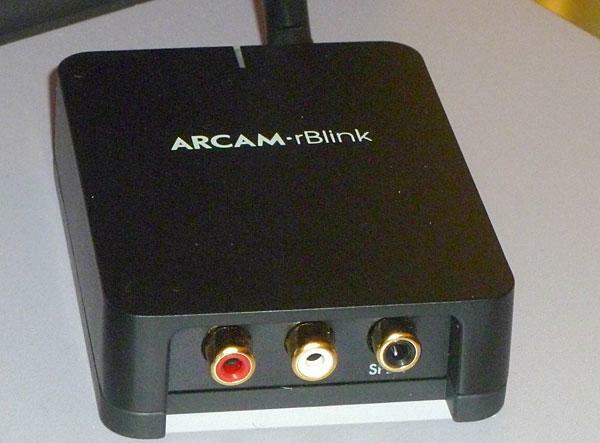 Inputs include AES/EBU, 2xSPDIF, Toslink and "ActiveUSB". 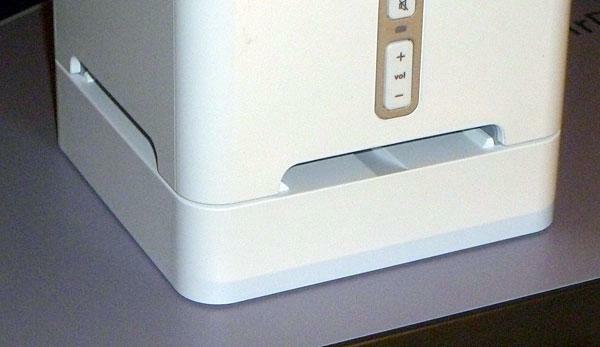 Analog outputs are both balanced and unbalanced and the front panel sports a very easy to read display. 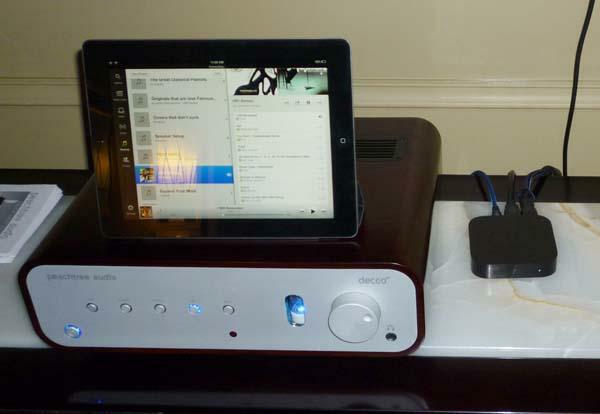 Aimed straight at the Sonos owner, Arcam's new DAC has a form factor similar to a Sonos ZP90 and plugs right in. It forms a base for the Sonos to sit on and is similar to the company's rLink DAC with TI PCM5102 chip, supporting streams up to 24/192. Retail price is $299 and it is available now. It's a simple idea really. Make it easy for anyone at your home to pull out an iDevice and play what's on it over your audio system without having to fiddle with cables and the proper connectors and then a compatible USB port. Some products, such as the Musical Fidelity M1SDAC have this already built in, but if you don't have it, here's an easy way to add it. The $249 rBlink gives you the ability to connect any Bluetooth device like an iPhone wirelessly to the system. Plug the rBlink into an extra input on your stereo, and then have the Bluetooth enabled iDevice add it from their menu. Maybe not the best sound in the world (though better than it used to be with Bluetooth), but easy for your pals and great fun at parties. As usual, Peachtree Audio put together one of my favorite systems of the show: iPad, AppleTV, Peachtree Decco65 D/A integrated amplifier, and a pair of Peachtree Design 4 bookshelf loudspeakers mated with a small REL subwoofer. I looked at the system; listened to the fun, engaging sound; and thought to myself: Why doesn’t everyone own a system like this? 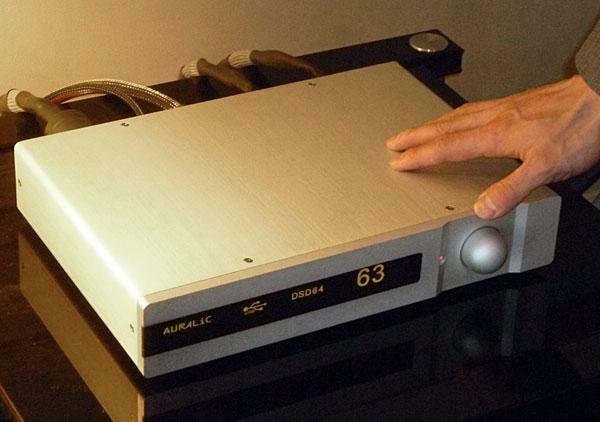 Krell is jumping into the streaming world with a somewhat reasonably priced product that can come two ways: streamer with digital out only at $2,500 or with built-in DAC for $3,500. 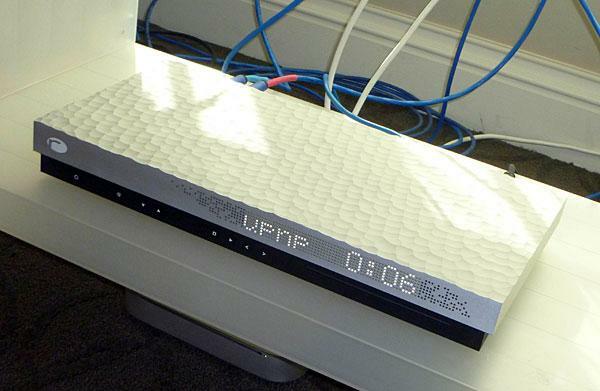 The Connect has WiFi and ethernet UPnP/DLNA compatibility for NAS drives in addition to internet radio and USB input. The Connect will handle FLAC, WAV and MP3 files up to 24/192. 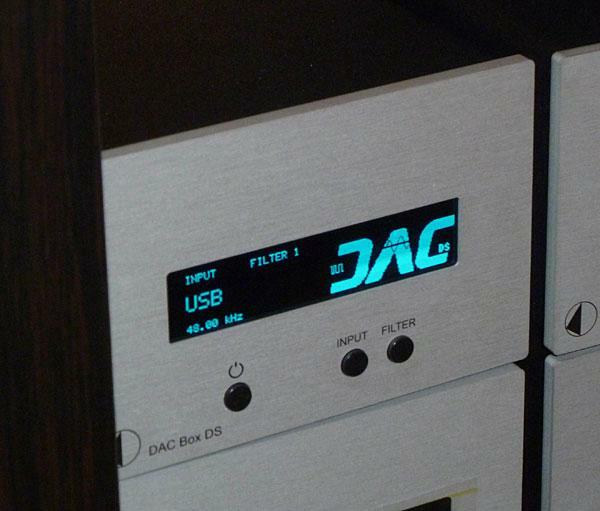 The DAC option adds five digital inputs along with its ESS Sabre 32 bit DAC processor. 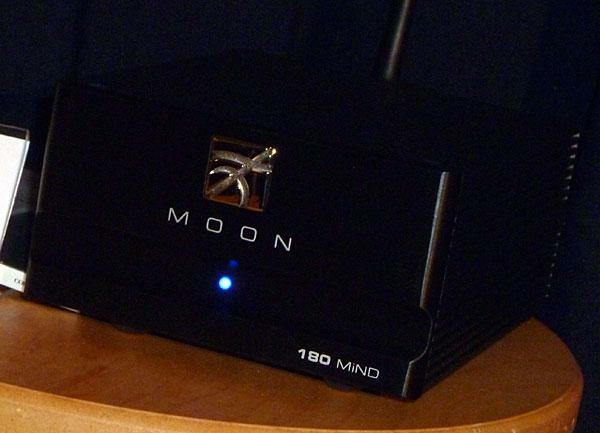 Though they were both at the CES last year, the MiND 180 and MOON 380D DAC with the MiND option have only recently started shipping. The MiND (Moon Intelligent Network Device) retails for $1,250 and adds basic network and NAS streaming functionality to your system. It can handle up to 24/192 through WiFi, ethernet, AES/EBU and Toslink. Control is handled via a free iOS and Android app that looked very user friendly and easy on the eyes. Though I was exhausted from a long day of walking through enormous casinos and down seemingly endless halls, I couldn’t resist the allure of flashing lights and loud dance music. I walked into the room and was startled by red-and-white-striped jump ropes spinning dizzying patterns to the music. Stepping into the Pro-ject room in the Venetian I spied an entire wall of little boxes--literally dozens of them. Norbert Schmied, from the company's US representatives, Sumiko, handily pointed me toward the DACs and Streamers. New to CES this year is the company's DAC Box DS in a small compact package and retailing for $549. Features include 24/192 SPDIF, Toslink and async USB as well as PCM-1792 Burr-Brown DAC and 2 filter options. 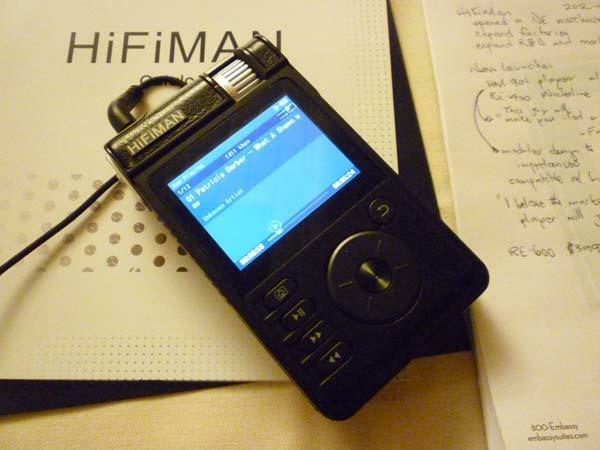 “This guy will make your iPod of iPhone look like a toy,” said HiFiMan’s founder and head designer, Fang Bian. English manufacturer Chord Electronics is known for its sophisticated CD players, which use sophisticated DACs. Indeed there was a huge picture denoting Chord's latest-generation DAC, the QBD 76, at the center of the back wall. As my beat was amplifiers, Chord's designer, John Franks (pictured above), spent the next 30 minutes walking me through the design of Chord's latest amplifier, the SPM 1200 Mk.II ($14,000), a solid-state, 350Wpc stereo mode. The amplifier sits at the bottom of the short stack of audio equipment John is leaning on. He explained that the amplifier has a high-frequency, 2kW, switch-mode power supply, and uses an output stage based on dual-die, lateral-structure MOSFETs with a soft turn/on-turn/off characteristic. This allowed John to use a sliding class-AB design.